Investing in a comprehensive skincare routine is both relatable and incredibly specific. While we all want our skin to look good (glowy, clear, even, and plump), the means by which we get there is entirely different. My skin, while mostly unproblematic, does have some built-in stipulations: It's combination (meaning I don't break out that often but have consistent congestion along my nose and chin), damaged from years of sun-worshipping, and very fair. So my chosen products have to reflect that. After years of honing in on exactly what I want from a product and how best to find a formula that works for me, I've come up with an arsenal that keeps everything in tip-top shape. From an essential oil–infused cleanser and serums that nix discoloration, add moisture, and brighten to an anti-inflammatory, anti-aging moisturizer and skin-smoothing, pH-balancing toner, find the products that make my skin look good every day. If your skin is like mine, they'll help you too. 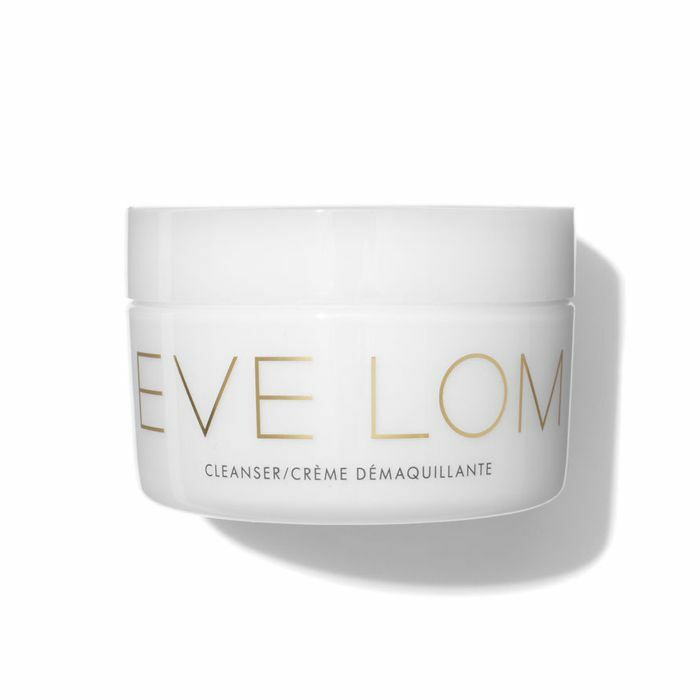 I've been hopelessly devoted to Eve Lom's cleansing balm since my very first time using it. I keep samples of it around in every drawer and bag I come into contact with. The formula helps improve circulation, open your pores, cleanse, exfoliate, and tone your skin all in the amount of time it takes to massage it into your face. The blend of essential oils—chamomile, eucalyptus, and clove—works to melt away dirt, oil, debris, and makeup all the while smelling like a spa. It's perfectly gentle in that it won't disrupt the balance of your skin's moisture barrier but effective enough that'll it'll melt makeup right off, no problem. I apply it dry and massage it into my face, breaking up any tough mascara, foundation, or environmental grossness (pollution, what have you). 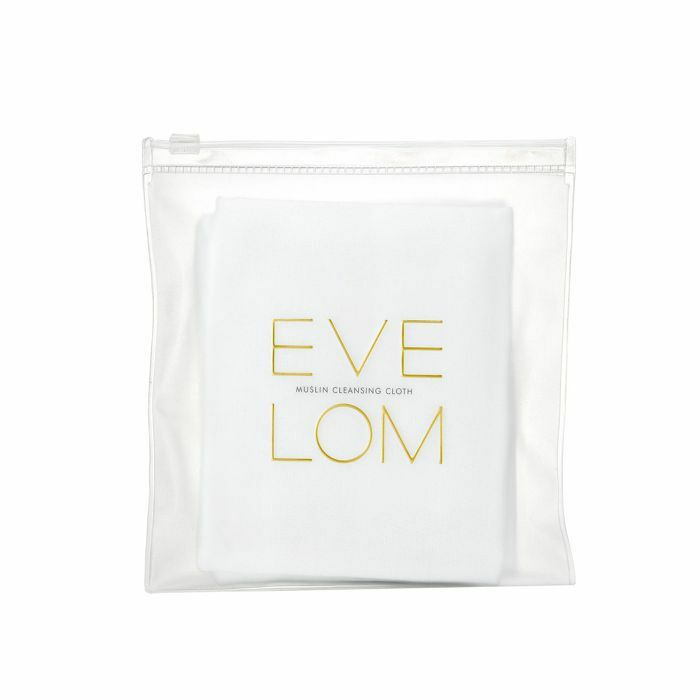 As much as I love the balm, Eve Lom's muslin cloths take a close second. They're probably not the first product you'd expect as a blackhead-clearing treatment. I wash my face with them each morning and night, first applying the cleansing balm to dry skin, working it in, and removing with the steamy cloth to really get everything off. The texture of the cloths, though, is where the magic lies. They're not fluffy or entirely soft, just structured enough to do a gentle exfoliation as I wash. I've noticed a significant reduction in the number and size of my blackheads as a result. Plus, it feels so good. It's a miracle. After cleansing, I move to toner, specifically Biologique Recherche Lotion P50 1970 ($65). I first had the tingly, vinegar-scented formula applied to my face during a facial by Toska Husted herself at Toska European Spa, where its dark spot–erasing, pore-shrinking, and complexion-balancing results left my jaw dragging along the treatment room floor. The ingredients are a mix of a few of the usuals like lactic acid, salicylic acid, and citric acid, blended together, with a selection of other, more eyebrow-raising components like onion extract, horseradish, sulfur, and vinegar (which certainly explain the smell). Immediately after drenching a cotton pad with the bottle's contents and swiping it carefully over my face (twice a day, as suggested by Husted), I feel a flush of tingling. It's a sensation that doesn't hurt or feel uncomfortable but instead feels rather satisfying and exciting in that "I can tell this is working" kind of way. It's the one product that has made the biggest difference in my skin, and I'm sticking by it until the end. 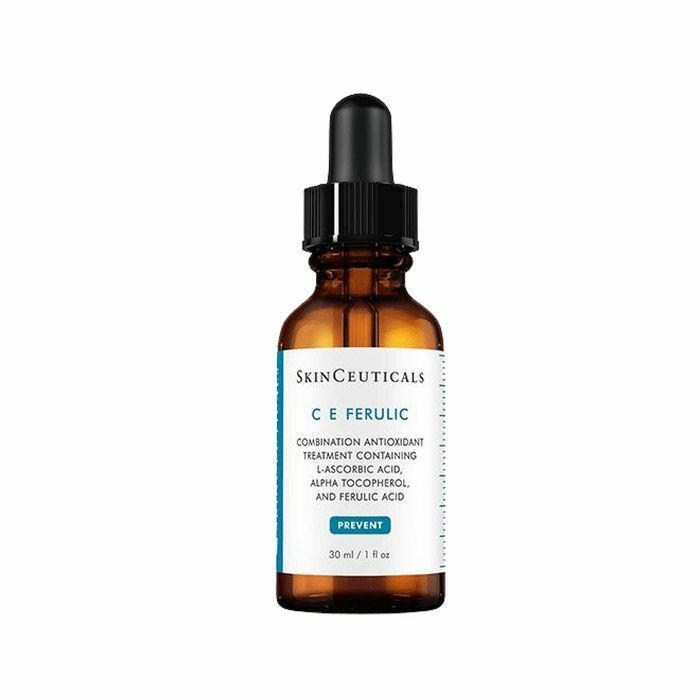 In the morning, I follow up with SkinCeuticals C E Ferulic, a beloved formula recommended by just about every dermatologist and beauty editor under the sun. "One of the main reasons we age is because unstable electrons in molecules (called free radicals) attack healthy cells and change their composition," esthetician Renée Rouleau once told me, and it stuck. That's why using a vitamin C serum is vital. On its own, the combination of ferulic acid and pure vitamins C and E enhances my skin's protection against environmental damage caused by free radicals, improves signs of aging and photodamage, reduces the appearance of lines and wrinkles, and brightens my complexion each time I use it. Together with P50, it's a skincare powerhouse I can't believe I ever lived without. Because I have combination skin, I need to work hard at exfoliation as well as maintaining moisture. So I always layer on a hyaluronic acid serum to seal everything in and add some much-needed hydration and slip to my skin. 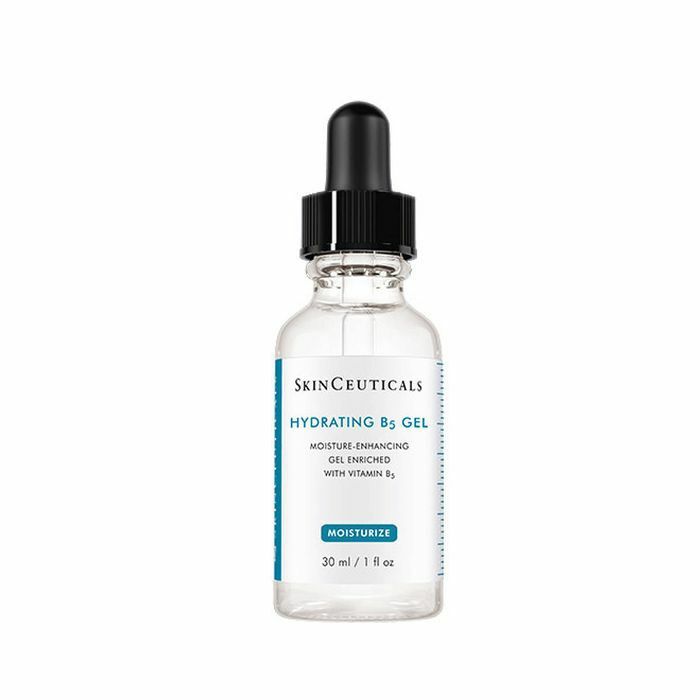 SkinCeuticals Hydrating B5 Gel ($82) is a lightweight hyaluronic acid serum meant to restore and bind moisture to your skin for enhanced radiance, suppleness, and comfort. It adds the extra moisture I need (without being too much) right before applying my next step. 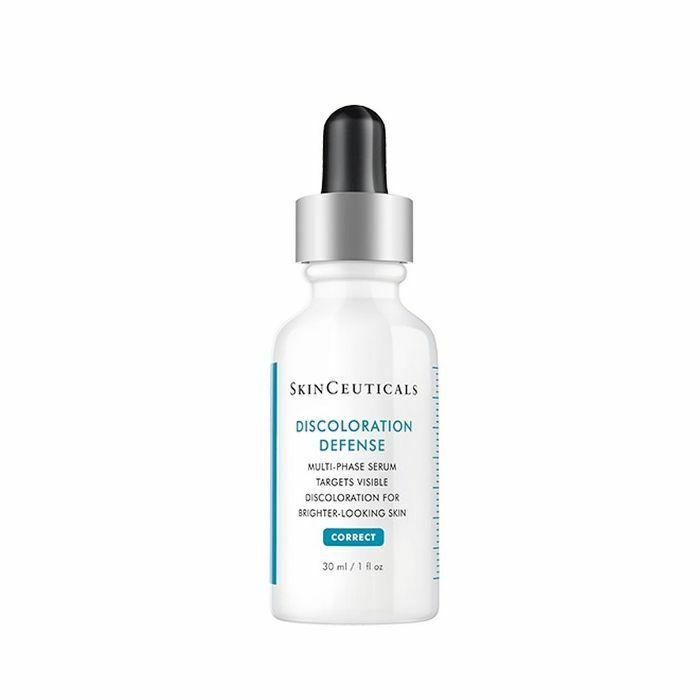 Because of my years spent roasting in the sun (shameful, I know), I use this serum at night to better help diminish the appearance of dark spots and discoloration on my face. It's a blend of kojic and tranexamic acids, as well as vitamin B3, to boost your skin's brightness while it minimizes the recurrence of hyperpigmentation. After listening to Shani Darden's interview on the Second Life podcast, I decided to bite the bullet and try her newest product. I've never been a huge fan of retinol, but this one is different. Texture Reform is a gentler retinol serum, formulated with retinyl palmitate, which makes it so it does not cause the peeling, dryness, and irritation that other retinol serums may cause. It also has sodium PCA to help skin hold on to moisture, lactic acid to gently exfoliate, and aloe to soothe. It very literally has safety mechanisms in place to combat the irritation that typically accompanies with retinol, and it makes your skin so clear, bright, and smooth. I use it every other night, alternating with Discoloration Defense. 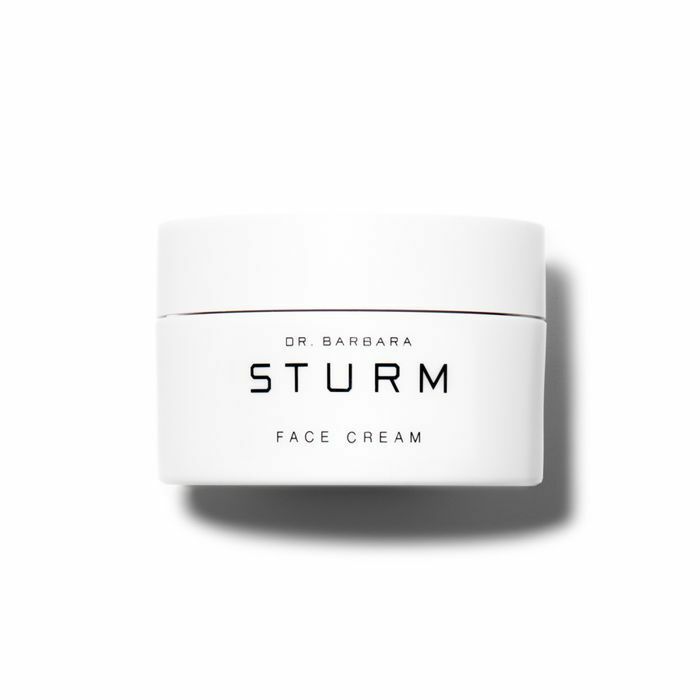 Dr. Barbara Sturm's Face Cream Rich is my most treasured moisturizer—and the one I use most often to keep my skin as line-less and hydrated as possible. Sturm herself calls it "your cell spa while you sleep," as it is so intensely regenerating. The cream incorporates purslane (a succulent herb packed with omega-3 fatty acids) to reduce redness and skullcap extract to stimulate natural collagen production. No lie: Using this moisturizer results in more youthful-looking, healthy skin come morning. 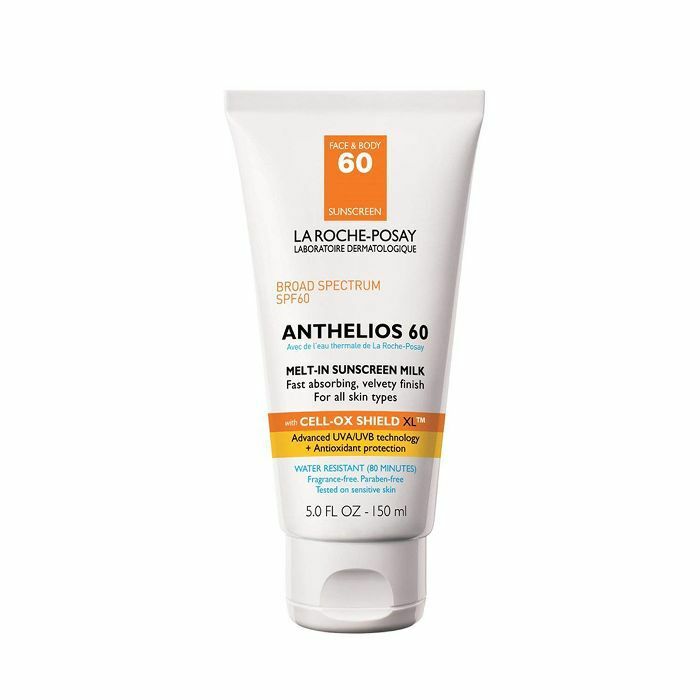 I started using this particular sunscreen when Consumer Reports did its Annual Sunscreen Guide and La Roche-Posay was the only sunscreen to receive a perfect score (for the fourth year in a row, actually). It contains avobenzone, a chemical active ingredient which the researchers have found to be more successful at blocking harmful rays than mineral sunscreens containing ingredients like titanium dioxide or zinc oxide. I like to slather it on if I'm not planning on wearing makeup that day. It doesn't disrupt your makeup but it doesn't exactly help either. What it does is protect my skin from the sun, and that's really what I care about most. When I am planning to wear makeup, I use Tatcha Silken Pore Perfecting Sunscreen Broad Spectrum SPF 35 ($65) because it works just like a primer. It doesn't have a chalky finish, it smooths your skin's texture, and it even tightens the look of pores. Plus, it's super silky, mattifying, and offers an SPF of 35.